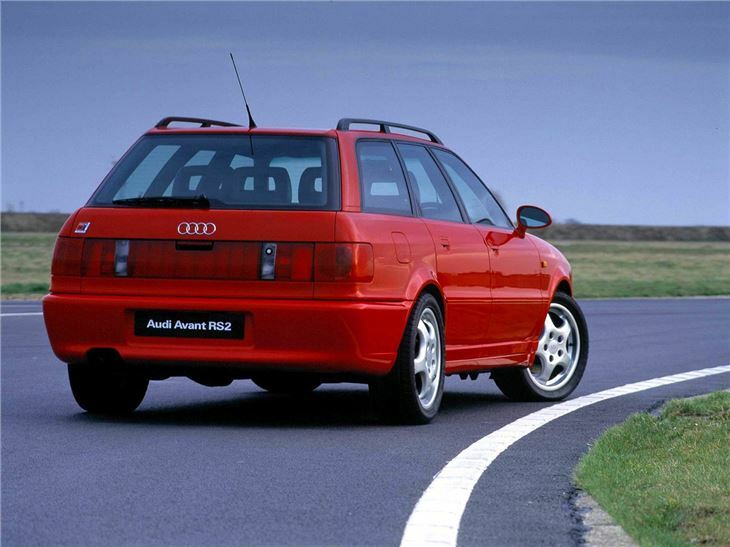 The Audi RS2 Avant was produced in a fascinating - and very exciting - joint venture with Porsche. It was based on the 80 Avant S2, and was powered by a modified version of its 2.2-litre five-cylinder 20-valve turbocharged engine that developed 311bhp. Final assembly was completed by Porsche in Zuffenhausen. Performance was predictably brisk, with especially vivid acceleration - Autocar magazine famously timed the RS2 from 0-30mph in 1.5 seconds, which was quicker than a McLaren F1. 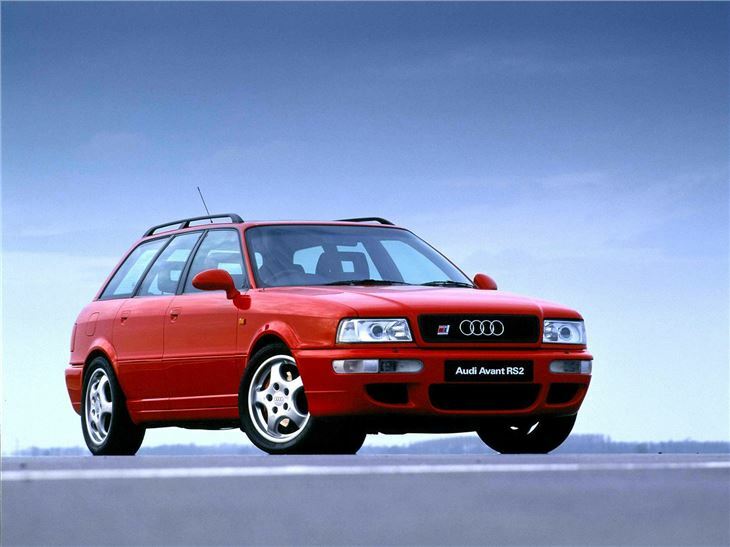 Such facts are what legends are based on, and Audi was clever enough to capitalise on the RS2's critical success, by following it up with generations of super-estate cars, making the genre its own, despite strong competition from Mercedes-Benz in particular. The Audi's handling was excellent, thanks to the Porsche-designed braking and suspension systems - the Porsche Cup brakes being carried over straight from the 964. Styling was low-key, but there were enough changes for the RS2 to be recognisable to cogniscenti - it's a classic now, and was the moment it left the production line.